Meinl Cajon | Gear Acquisition Syndrome!! 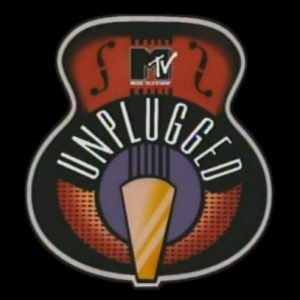 Who remembers the MTV “Unplugged” series??! So many great concerts! So much truly good musicianship! It separated the pros from the posers too. 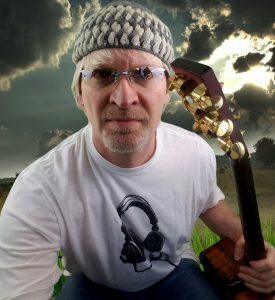 It’s easy to sound good with all the studio tricks in the book, but when you have just a microphone and an acoustic instrument, you either put up or shut up! If you’re a drummer/percussionist, one GREAT way to perform a stripped-down, “unplugged” concert is to use a cajón! In the U.S. we simply use the word “cajon” without the diacritical mark. The word is pronounced [Ka-hone]. They were originally developed in Peru, but time and transportation carries on, and now… we have ’em. Cuba is really into them, for some reason. You can catch street performers using cajons there all the time. They come in many sizes and tones, but their simplicity is their main strength. They’re basically boxes! They have a few different sounds that you can pull out of them, depending on where you hit the box, and they sound (with varying degrees of plausibility) like a snare, a kick drum and a couple toms. Some players put cymbals on stands to either side of them for accents, but every player I’ve seen live just brought the box. Easy-peasy! 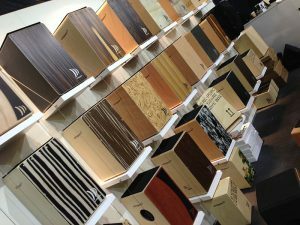 My own choice is a Meinl Cajon, but there are many to choose from. 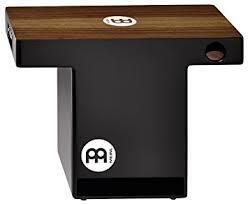 I picked the Meinl for some very specific reasons, and knowing what to look for in a cajon, you can too. Wanna know why I chose mine?? You GOT it! Cajons can give ya the bends! Most cajons on the market are basically medium-sized boxes. You stand ’em on their end, sit on ’em, bend over, and play them like Quasimodo gettin’ his groove on. That’s the main thing that I didn’t like about ’em. Who wants to look all bent over like that, or be that uncomfortable, playing through a whole concert?! 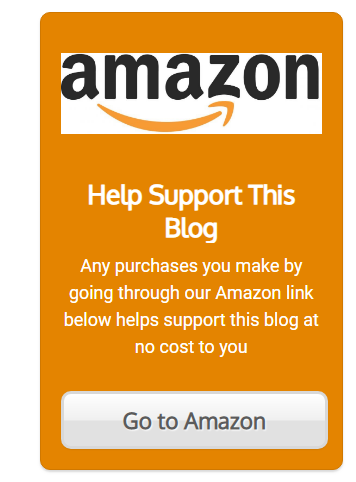 Then, one day, I saw the ad. Immediately, my Gear Acquisition Syndrome erupted like Hawaii’s current Kilauea lava flow! The ad showed a slap-top cajon that you rested on your legs and played sitting up in normal chair-like fashion. 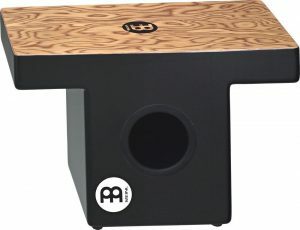 This recent re-design used in the Meinl TOPCAJ1MB Slap-Top Cajon is so much easier to play than the former box cajons. It’s comfortable and light-weight, but still resonant enough to be played without amplification in a small room, and best of all… you sit it on your LEGS and play sitting upright. How’s that for improving crowd interaction and saving your back! The fiberboard that these cajons are made of is like particle board, only much denser. Thus, we’re still talking wood here, just not the ‘fresh-from-the-tree’ type. It’s basically ground up wood that’s mixed with a binder and shaped into form. If this were made of real unaltered tree wood, it would be much heavier. I think we can all be thankful they didn’t use real wood – might as well schlep around your kit if that were the case! If you’re mic’ing the unit, there’s two places to be aware of. The bass port is right in the front. You can’t miss it. Slap a mic in front of it that handles bass and high SPLs well and you’re gold. This cajon is so easy to play. I find that because you don’t have other drum choices and cymbals, you can concentrate on the rhythms you’re playing much more efficiently. I always find really interesting fills and grooves on the cajon because of its limited options. It’s also great for ghost notes, which are done with your fingers, instead of slapping with your hands. With this technique, it starts to sound similar to an Indian Tabla drum, to my ears. Let’s talk bass frequencies for a moment. We know that the bigger the resonant body, the more volume will be produced when a drum is hit. Because of that, this slap-top cajon will not be as loud as its larger box cousins, especially in the low frequencies. The cut away sections of the cajon, where your legs hold up the instrument, steal away space within the box, so thus the volume is cut by comparison. However, if you plan on using MICS with your cajon, this is a non-issue. Simply putting a bass-friendly mic, like the D112, an RE20, or a Beta 52A will give you great low-end punch from this unit. I’ve played it many times this way, with a kick drum mic pointed at the large front-facing hole, and the sound men have never complained. 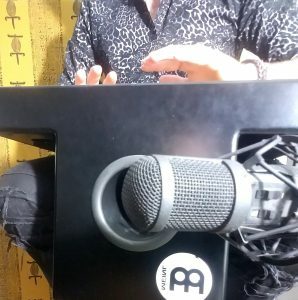 I also reviewed the live recordings later and I can tell you… there was no lack of kick in the cajon rhythms using this technique. Now if you plan on usually not being mic’ed, then the full, rectangular box will give you more volume. But just know… you’ll have to play bent over. Definitely not my thing, but you might be fine with it. Meinl, as well as plenty of other percussion companies, are now making lots of supplemental options for cajons to broaden your rhythmic soundscape. Want a second snare sound? Add castanets or a snare block. Want a high hat effect? Add jingles and/or a cabasa. Heck, you can even play a cajon like a real drum kit, there’s so many accessories out there! 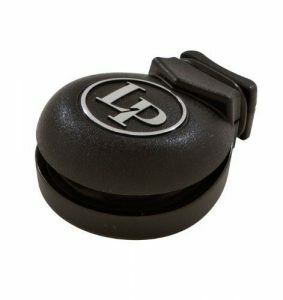 I personally have added to my cajon the LP433 Cajon Castanets. I have them on the left side of my cajon. When I want something higher in pitch than a snare, more like the sound of claves, I can just slip off the side and whap it for some sudden high frequency accents or to drive the beat with something that cuts through a certain song section better. Oh, and how about the biggest, baddest accessory of them all: click this link to witness a completely ELECTRONIC CAJON!!! Oh, the pain. The pain! Will G.A.S. travails never end, I ask thee??!!! 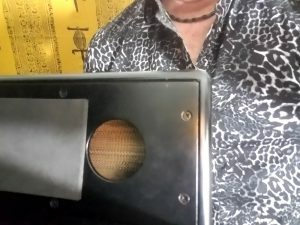 I find cajons to be perfect on acoustic guitar or piano tunes that are mid- to up-tempo. 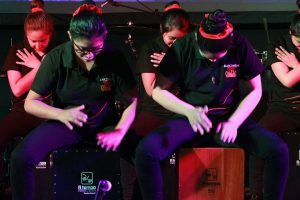 I’ve used my cajon for these types of songs many a time, and not only did they sound good, but I always got the ubiquitous “curious audience member” asking me what the heck that “thing” was. Since any opportunity to interact with your audience is beneficial, I love it! I have to also mention here how much EASIER it is to take a cajon instead of a drum set. I mean, come one – it’s basically a BOX, right? That’s it! If you have some accessories then you either take it with the accessories on (which I don’t recommend due to loss) or stick in a backpack and you’re ‘ready player 1’! Though the cajon is simple, you can still definitely create your own style with it. With so many accessories too, finding your own unique voice and method for grooves and fills is a breeze. Just spend time with it and you’ll find your way. Unlike drums, interestingly, a lot of your style will depend on the length and shape of your arms and legs. For two great examples of very different but exciting playing styles, also using numerous accessories, watch THIS VIDEO and also THIS ONE. Now didn’t those videos make you wanna go buy more accessories?? I know it did ME!! Yes, like so much of the time, our dear gear often is improved upon, with further, better iterations that gives us, what I like to call, the upgrade shakes!! Turns out now there’s a newer version of my cajon: the Meinl PTOPCAJ2WN Turbo Cajon! It’s topped with Walnut wood instead of Burl, has three sound ports instead of two, and even comes equipped with electronics inside so it’s plug-and-play ready. Schwing!! Now, I’m no sucker. I know hype is hype, and advertising can be misleading. That’s why I get on here and give you all my totally unbiased, unfraternized, unrelated-to-any-particular-music-company opinions, coupled usually with actual recordings of the gear in question so we can all hear the differences and make our determinations from there. This will be the same. I’ve ordered this latest, greatest advancement in slap-top engineering, and it will be here in two days. 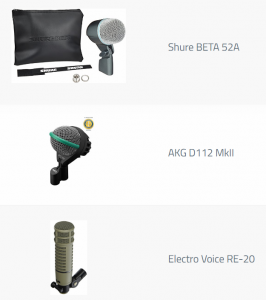 My upgrade shakes are now curtailed, and I await the arrival of the version with electronics with cables and mics in hand. By the time I’m finished, we’ll know exactly the sounds of each and how they compare. Then you, as I will, can decide which tone and volume combination works for your ongoing music vision. For now, hang tight and let the Teaj work his magic. I’ll be right back when the results are in… !! Want a little musical inspiration? 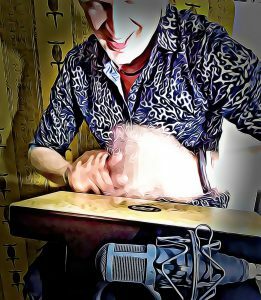 Check out THIS AMAZING RENDITION of Stevie’s classic, all undergirded by clickety-clack whackin’ grooves of Jorge Perez Gonzalez on cajon. I cannot… stop… watching… this…!! !